Looks like the war between Kangana Ranaut and Alia Bhatt will continue for a long while. From calling Alia Bhatt Karan Johar's puppet to saying her acting in Gully Boy was mediocre, Kangana has left no stone unturned. 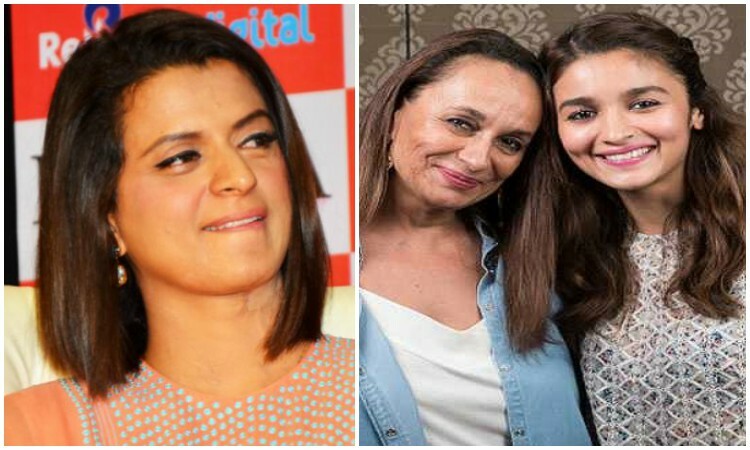 Following her sister's footsteps, Rangoli Chandel has now attacked Alia Bhatt's mother Soni Razdan over her British citizenship. Recently, Soni Razdan had posted a picture of Junaid Khan, the boy who was stabbed to death on a train near Ballabhgarh in Haryana in June 2017. "I am Junaid Khan, a Muslim boy, age 15. I was killed by a mob on a train for being a Muslim. Remember me when you vote," she wrote. This tweet about Junaid Khan didn't go down well with people on social media who trolled her left, right and center. While some slammed her for spreading "fake news", others countered her pointing out cases of Hindus being killed in violence across the country. There were others who reminded her that Punjab and Haryana High court had said that the fight was over the seat and not on the basis of religion. Rangoli expressed her opinions on the topic on a similar basis. She wrote, "These Non-Indians who are living off this land, using and abusing its people and its resources, lying about intolerance and spreading hatred, time to think about their agenda and not to get carried away with their provocations." Actresses Alia Bhatt and Soni Razdan don't hold an Indian passport, as they both are British citizens. To be able to vote, they will have to give up her British citizenship because according to Indian rules, no person can hold dual passports. During the promotions of Kalank, when Alia was asked if she was going to vote, she said, "I can't vote". When asked about the reason, she said, "Passport".